Nabi Modern Salon is more than a beauty salon. It is a place where you can share ideas, explore new realms of beauty possibilities and be taken care of completely. Our services range from cuts to color, from makeup to blow-outs. We serve men and women who want great results they can depend on from beauty artists they can trust. We also often work with young people and kids—all ages are welcome and will be treated with personal care. 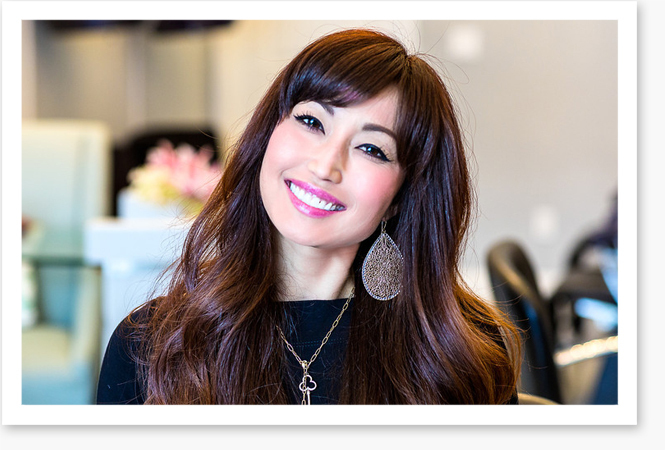 Su is a highly talented, top-notch hair stylist/beauty professional who will make you look and feel amazing! Best place ever! Su the owner is extremely talented and beyond nice! You leave this place looking fabulous! I am in love with my hair! Su did an amazing job for my engagement session as well as my wedding. I don't trust anyone else to touch my hair now! Seriously, this woman is the HAIR WHISPERER! Su's salon is comfortable and makes you feel special while you are there. With the combination of Su's talents and her stunning new salon, it is worthy of the five star rating! Su has done my makeup for all my special events; such as my engagement party and wedding, and she continues to amaze me with her talent!